Today over at the HTC store, they have a great promotion for those looking to pick up the HTC One M9. 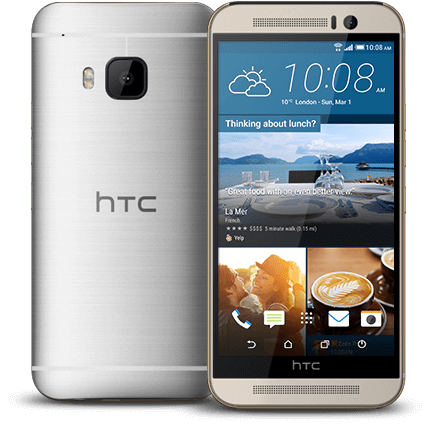 Today only (November 17th) you can pick up an unlocked M9 for $649.99 and with it you will get an unlocked HTC Desire 626. That’s a $179.99 value for two phones that are solid performers and remember that the One M9 is expected to receive the Android Marshmallow update by the end of this year. If you haven’t looked at the specifications of the One M9 for a while, here is a recap for you on what was HTC’s flagship devices throughout most of this year. The One M9 is a solid aluminium construction so it is beautiful to look at and hold while also having a high level of durability. The Desire 626 is a 5″ device that is certainly aimed at the more entry level. It has a Snapdragon 210 processor, 16GB of storage and a 5MP main camera. The promotion is for today only at the HTC site so if you want to pick up this deal you will need to do it today. At last check, the M9 is available in black, aluminium, gold and red.